On Tuesday, 9 April 2019, Pharos University provided a venue for two technical classes afforded by the presidential initiative “Next Technology Leaders” (NTL) which was put into implementation by the Ministry of Communications and Information Technology. This initiative aimed at creating cadres of Egyptian youth and university students who are highly trained in the information and communications technology and electronics. 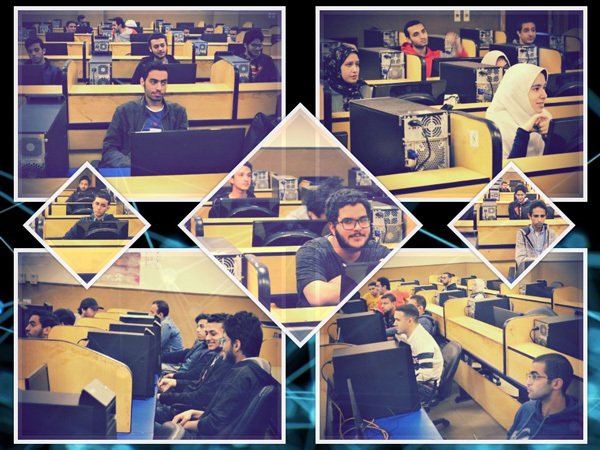 The faculty of Engineering at Pharos University hosted two classes for Android Basics Nanodegree which were attended by Engineering students from Pharos University, Alexandria University and the Arab Academy for Science and Technology. At the opening session of these classes, Prof. Mohamed Gaber Abou Ali, the Dean of the faculty of Engineering, gave a word to welcome the students and encourage them to derive maximum benefit from this superb opportunity of studying such advanced curricula with its technical meticulous applications. He also urged the students to be cognizant of all the updates on the realm of Information Technology. It is worth mentioning that these classes are held twice a month. New classes are to be opened to meet the needs of a larger number of students.